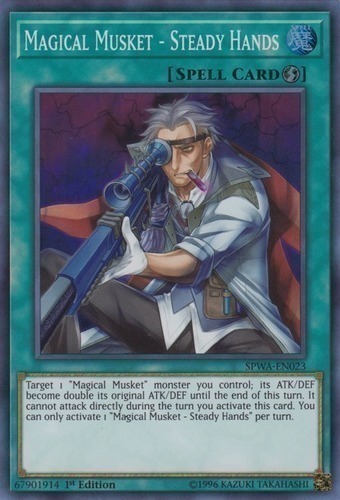 Target 1 "Magical Musket" monster you control; its ATK/DEF become double its original ATK/DEF until the end of this turn. It cannot attack directly during the turn you activate this card. You can only activate 1 "Magical Musket - Steady Hands" per turn.